In a long article published after Daniel McFarland's trial, his ex-wife Abby told of their years together as husband and wife. Abby Sage was 19 years old in 1857 when she married 38-year-old Daniel McFarland. She was well educated and came from a respectable New England family. At the time she was working as a teacher and had begun writing for publication. McFarland represented himself as a prominent member of the bar in Madison, Wisconsin, with brilliant political prospects He professed to be a man with temperate habits, holding property worth $20,000 to $30,000. He seemed to be a well-established man who would make Abby a fine husband. After the wedding they moved to Madison where Abby learned that Daniel did not have a law practice in Wisconsin, he had only been there for land speculation. He owned several thousand acres, deeply leveraged, and planned to go next to New York where there were opportunities to trade them. At this time he had only enough money to pay their fares to New York. When they reached New York Abby had to pawn her jewelry to pay for their lodging. They had not been married long before Abby learned that her husband had a fondness for alcohol and a violent temper. When he was drunk Daniel would become terribly profane and fly into a rage over some perceived insult. Other times he would become morose and not speak for days. Sometimes Abby would hide knives and scissors out of fear that Daniel would do her or himself harm. After at his violent fits of rage he would always be remorseful, promising to stop drinking and never frighten her again. But the cycle would always repeat. Daniel made some profit from his Wisconsin land deals but his drinking made it difficult to hold a steady job. In spite of their poverty, Daniel and Abby had two sons, Percy born in 1860 and Daniel in 1864. During this time the family would move from boarding house to boarding house, always deeply in debt. Abby tried her hand at dramatic reading and found she had a flair for it, and at Daniel’s urging she began to augment their income by giving public readings. She soon became an actress as well, taking roles at Edwin Booth’s Winter Garden theatre. She also began publishing her writings. Her new career allowed Abby to broaden her social circle. 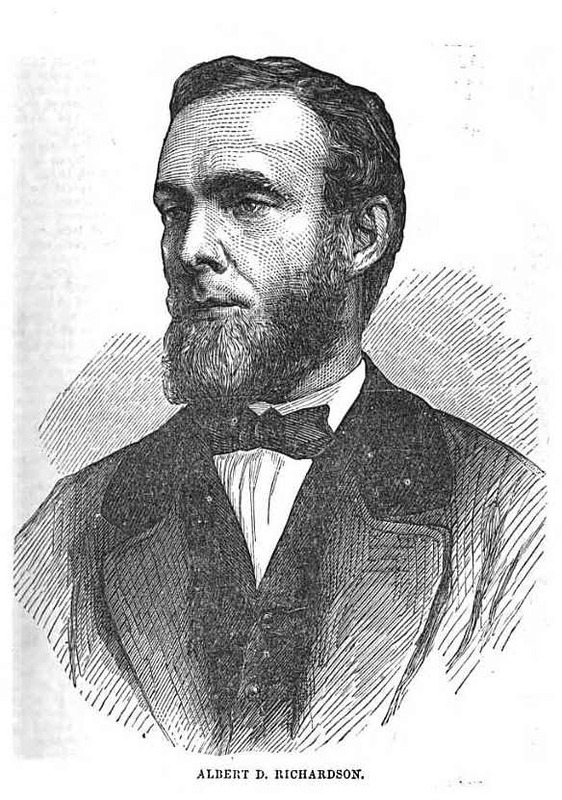 She became close friends with Horace Greely, owner of the New York Tribune, his sister Mrs. John Cleveland, and Tribune editor Samuel Sinclair and his wife. Daniel McFarland used Abby’s new connections to secure a political appointment, but he was jealous of her new friends. He would open her mail and read her letters before giving them to her. And his temper had gotten worse. He was now threatening to kill Abby or himself and would sometimes physically strike her. He kept the money she earned from performing and spent much of it on drink. In January 1867 the McFarlands moved to a boarding house at 86 Amity Street in New York. Not long after, Albert Deane Richardson also moved into the boarding house. Richardson was a writer and editor at The New York Tribune. He had been a war correspondent during the Civil War and in 1863, while trying to run the Confederate batteries at Vicksburg was captured and spent a year and a half in Confederate prisons. In December he and another correspondent escaped from prison in Salisbury, North Carolina. Richardson was married with five children but during his imprisonment Richardson’s wife and infant daughter had died. Abby knew Richardson socially through Horace Greely and his sister. During the day Richardson used his room as an office, with a stenographer, an artist, and a messenger boy to assist with in his literary work. 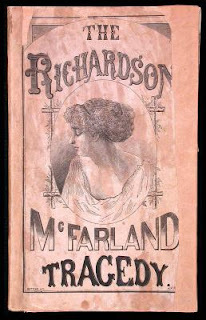 On February 19, 1867, Daniel McFarland came home to find his wife standing at Richardson’s door, discussing a manuscript with him. The sight infuriated McFarland who went into a three-day drunken rage during which he made the usual threats of murder and suicide. At one point he suggested they separate and Abby assented. He later changed his mind, but she did not. She left him for good on February 21. After Abby left Daniel McFarland, Albert Richardson offered his sympathy and helped in any way he could. Gradually they grew closer and closer. On the evening of March 13, Richardson met her at the theatre where she was performing, to walk her home. As they walked from the theatre Daniel McFarland came up behind them and fired a pistol at Richardson, wounding him in the thigh. He fired two more times but did not hit either of them. McFarland was arrested but somehow managed to avoid prison. As the love between Abby McFarland and Albert Richardson continued to blossom, Daniel McFarland began legal proceedings to get custody of the children. He agreed to a compromise where Percy would stay with him and Daniel with Abby. But to Daniel this meant that Abby would never see Percy again. In the Spring of 1868 she attempted to see Percy but was barred by McFarland in another fit of rage. She decided then to take her friends’ advice and file for divorce. In New York State the only legal ground for divorce was adultery, and though Abby believed she could prove that Daniel was adulterous, she decided to go to Indiana where divorce was allowed for drunkenness, extreme cruelty, and failure to support a wife. She took up residency in Indiana for sixteen months then returned to her mother’s house in October 1869, legally free from the bonds of marriage. Abby and Albert had been guarded in their relationship and stayed apart while she was in Indiana. Now that her marriage was over they felt free to be openly together and Albert spent Thanksgiving in Massachusetts with Abby and her family. The day after thanksgiving he returned to New York. Just a week later Abby received word that Albert had been mortally wounded, shot by her ex-husband in the office of the New York Tribune. She hurried to New York to nurse him. 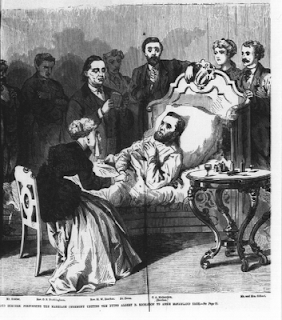 When she arrived in New York, Albert Richardson was on his deathbed, lying in a room at the Astor House. His dying wish was for them to marry. On November 30, 1869, Albert Richardson and Abby Sage McFarland were married by The Reverend Henry Ward Beecher. 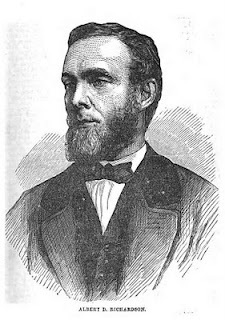 Among the witnesses was Horace Greely. Two days later Albert Richardson was dead. The newspapers were forcing people to choose sides and New Yorkers were overwhelmingly choosing McFarland’s fight for the sanctity of marriage over Abby Richardson’s immorality. That mood held at the trial, where the courtroom was filled to capacity with spectators hoping to get a glimpse of the evil Abby Richardson. She never appeared at the trial, but McFarland’s attorneys took full advantage of the audience and arranged to have ten-year-old Percy McFarland sit by his father’s side. Percy, happy to be with his father, appeared oblivious to the trial’s import. Abby’s supporters distrusted the ability of the district attorney and brought in former judge and current congressman Noah Davis to assist the prosecution. McFarland also brought in the big guns. He would be defended by John Graham who had been associate council in the Sickles case, in which Daniel Sickles was acquitted of the murder of his wife’s lover on the grounds of temporary insanity. He would take the same defense in the McFarland case. 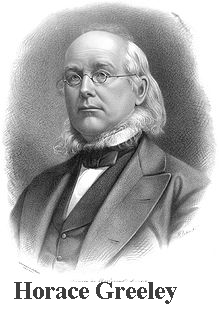 The prosecution focused on the misery of the McFarland marriage, with Abby’s relatives and friends, including Horace Greeley, giving testimony. The defense changed the focus to the adulterous relationship between Abby and Albert Richardson. An intercepted letter from Albert to Abby, coupled with Daniel McFarland’s family history of mental instability, allegedly triggered the insanity in McFarland that led to the shooting. The trial lasted five weeks. The jury deliberated for an hour and fifty-five minutes and found Daniel McFarland not guilty. 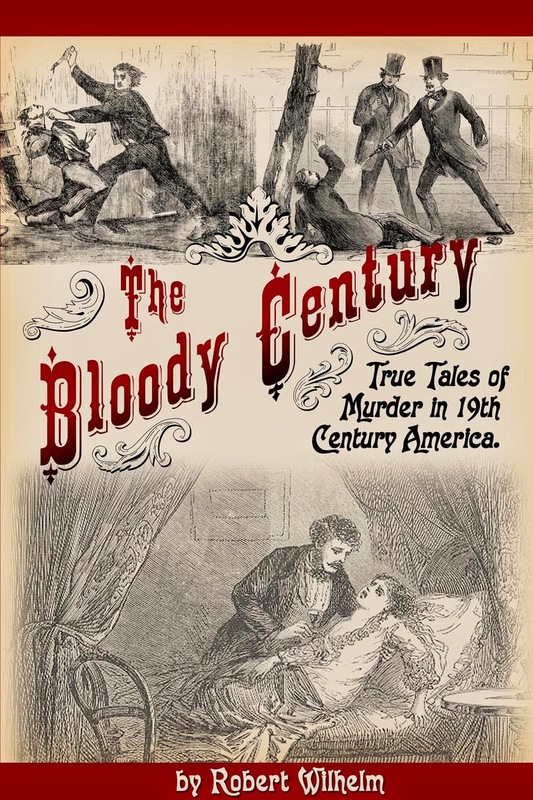 Abby published her version of the events leading to her ex-husband's death in the Tribune on May 11, 1870 and though it brought more of the public to her side, it was too late to effect the outcome of the trial. Abby Richardson kept the promise she made to her dying husband and raised the Richardson children as her own—not an easy task with the Richardson children in or near adolescence and resentful of this new mother. She was also raising her own youngest son, now renamed Willie. Eventually Percy returned to her and adopted the surname Sage, Abby’s maiden name. Abby continued her literary and dramatic pursuits, composing verse and writing and producing plays. Abby also edited a volume of Albert Richardson’s unpublished work. She died of pneumonia in Rome, Italy on December 5, 1900. 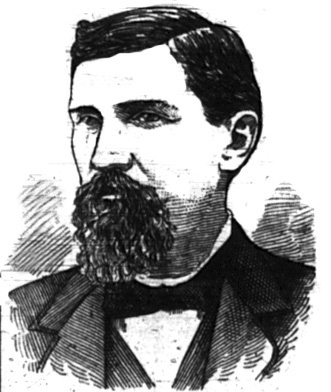 Daniel McFarland went west, and was last heard from in Colorado in 1880. Many give thee thanks who never new thy face, so, then, farewell, kind heart and true. The Richardson McFarland Tragedy. Philadelphia: Barclay & Co. 1870. 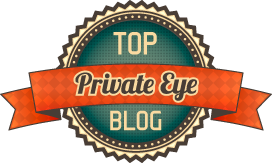 You put together such an intriguing and amazing blog, I had to start from the beginning, couldn't stop reading! You may want to look into that with blogger to remove it. Otherwise, keep up the fascinating stories.